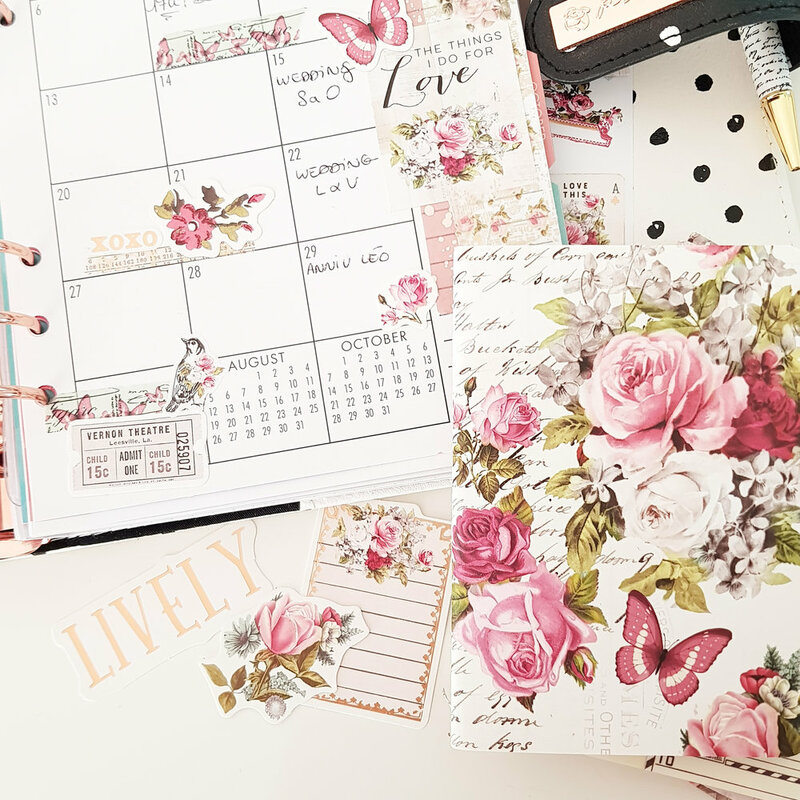 Adeline from @planneraddictfr is sharing with us her September monthly layout using many different elements from the Misty Rose collection in her Prima Breath planner. “To create my monthly decoration I used the washi tape of the collection as well as ephemera and stickers. I didin't charge too much because I have a lot of things to write on this double page. We hope you have enjoyed seeing how to use the different Misty Rose. 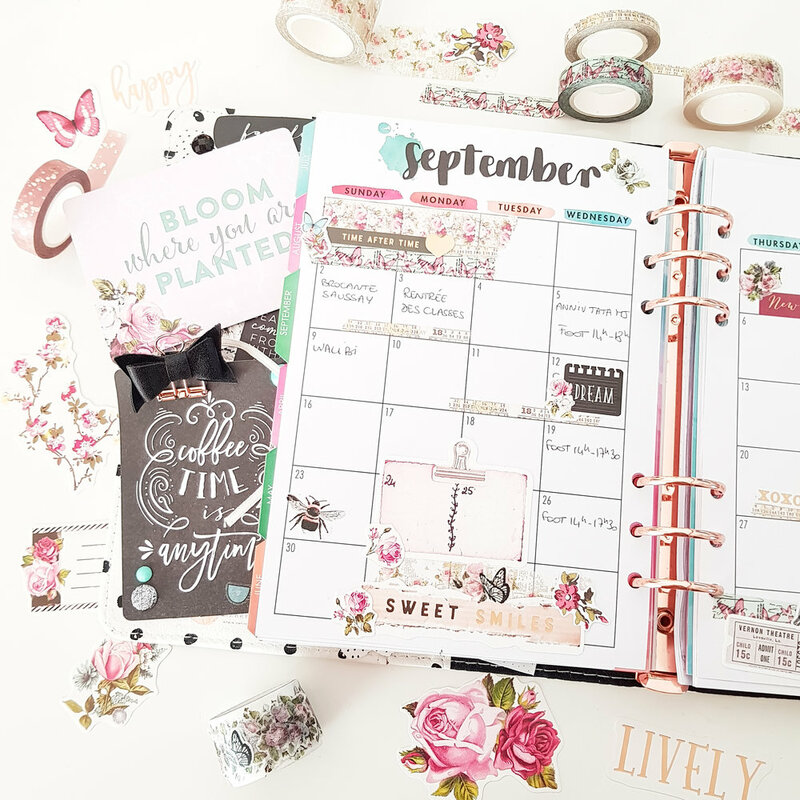 product in a ring bound planner. To see more inspiration by Adeline make sure to follow her on her Instagram account @planneraddictfr.